Whenever I get sick of dealing with live action superhero films and the all-but-inevitable disappointment that entails, I look to animation and shout, “Save me.” Specifically Warner Brothers, who’ve looked down and whispered “No,” more times than not. That’s what happens when the marking department dictates what we’ll get, and when. Given there’s a new (live action) Superman movie in production at the time of this writing, here comes the latest animated one, Superman vs. The Elite. 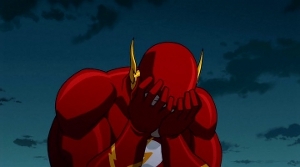 Will it rescue us from the crushing mediocrity of things like Justice League: Doom or Batman: Year One? Or will it become what it hates in the name of The Greater Good? Oh hell, you guys know me, I can’t keep a secret. 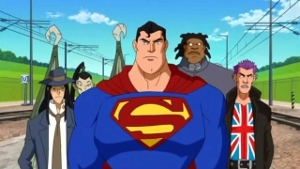 Not only is it better than Doom and Year One, it’s the second best piece of Superman animation we’ve seen since the cancellation of his last cartoon series…the first being All-Star Superman, of course.